Each set of customizable homemade coupons is available as Word and Publisher templates. Download the template you want to use, tailor it to your special recipient and print. 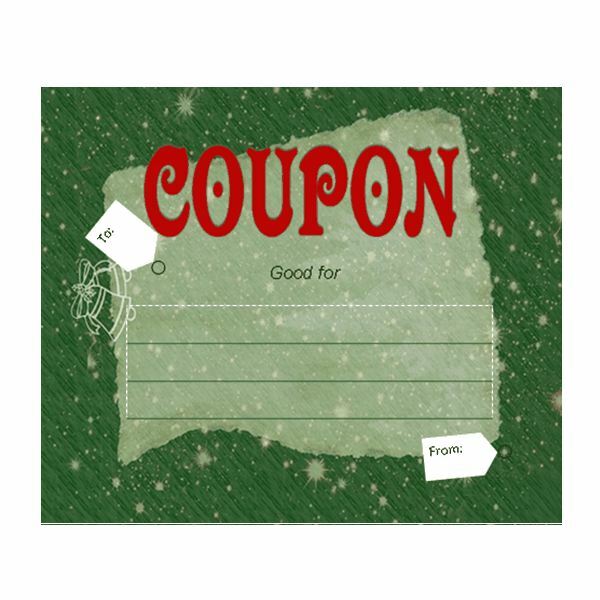 The first set of free printables is blank coupons with a Christmas or holiday theme. You can opt to print the coupons and handwrite the information or type the details on the coupons in Publisher or Word prior to printing. In Publisher, type names in the To and From boxes, which resemble gift tags. The body of the coupon is in table format with three individual rows serving as lines onto which you can type the details of your coupon gift. In Word, the To and From tags have text boxes over them, as does the body, so you can click inside each one and type names and gifts. Each of these templates enables you to create six custom homemade coupons per page. All downloads are unabile to be previewed, simply click the button to download. 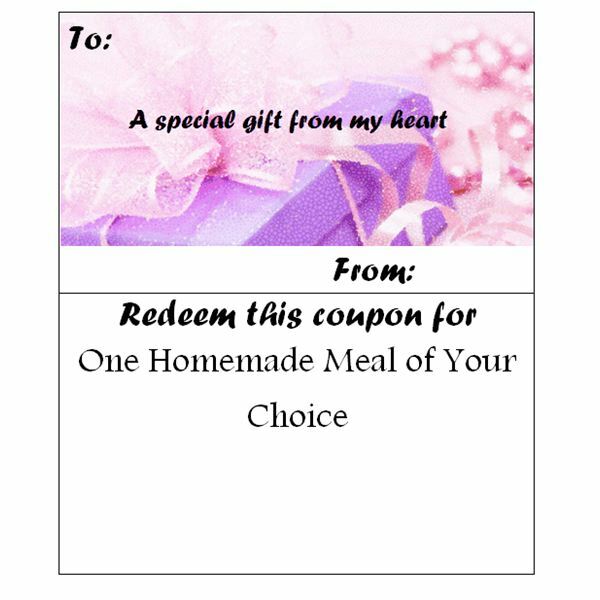 You can create custom homemade coupons for any occasion, from birthdays to Valentine’s Day to Mother’s Day and Father’s Day. This template is ideal for those events, as the background is an understated gift in shades of gold. You can change the color of this background, if desired, by clicking on the image and selecting the Format tab under Picture Tools. Select Color, Recolor or Artistic Effects, depending on the program and version you are using and pick the shading you prefer. 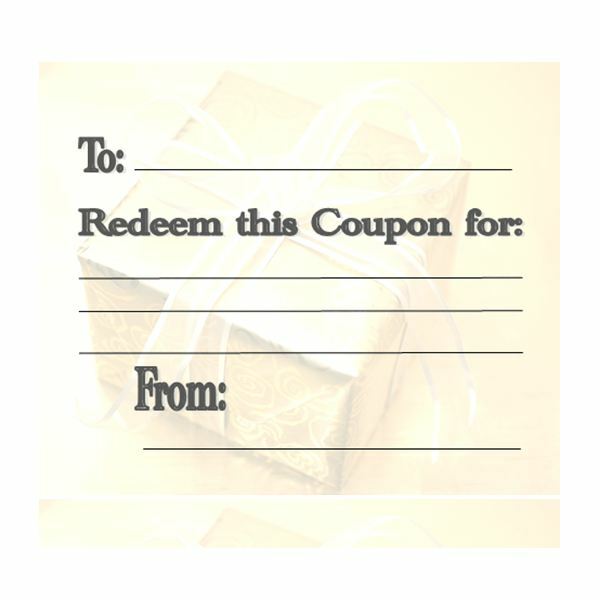 The body of this simple printable has a To line, a From line and three lines under Redeem This Coupon For, where you can type or write the gift you are offering. Use this template to create a custom coupon booklet full of gifts tailored to your special someone. The first section is the cover of the booklet and features a picture of a sparkly gift with the words To, From and A Special Gift from My Heart. You can change the background image, if desired, by right-clicking the picture, selecting Change Picture and choosing the picture you want to use instead. In addition, you can customize the text or font to your liking, as well. There are 11 coupons in this booklet, including: One Homemade Meal of Your Choice; One Backrub; One Chore of Your Choice; One Afternoon of Babysitting; One Foot Massage; One Car Wash; Breakfast in Bed; Control of the Remote for One Hour and three blank coupons. Each coupon also features a relevant clipart image. Print the booklet as-is or customize some (or all) of the coupons before printing. Then, cut them apart and staple them together to create a gift-worthy booklet. Another idea is to stack them together, punch one or more holes along the left edge of the stack and bind the booklet using yarn, ribbon or cording. When customizing your printable coupons, get creative and think about what your recipient would most appreciate. You may want to design coupons in a theme, such as romantic coupons, helpful coupons, whimsical coupons or even “All the things you hate to do most" coupons, with items such as getting the oil changed, cleaning up after a pet or making the weekly phone call to the in-laws. Because your gift truly comes from your heart and shows that you care about what your loved ones truly want and need, do not be surprised if they begin asking for homemade coupons as future gifts!